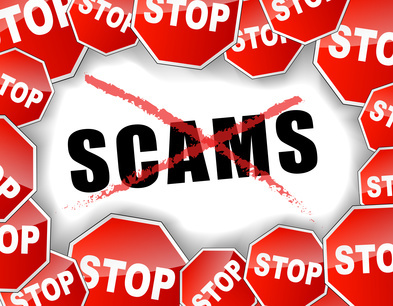 For those who want to stay safe from the efforts of pension scammers, help is out there. It’s just as well because such help is in high demand. Between August and October alone last year, the Financial Conduct Authority’s (FCA) ScamSmart website had over 173,000 unique visitors. That’s around 3,145 people per day on average, or one person every 27 seconds. The FCA and The Pensions Regulator founded their pension fraud awareness campaign in the summer and since its launch, the number of visitors has rocketed. The website highlights common red flags to watch out for, as well as offering a form for reporting suspected fraudsters. Never reveal your personal or financial data, including usernames, passwords, PINs or ID numbers. If you must supply payment information to people or organisations, make sure they are genuine and never reveal your passwords. Remember that a bank, or any other reputable organisation, will never ask you for your password via email or phone call. Do not open email attachments from unknown or untrusted sources. Do not readily click on links in emails from unknown or untrusted sources. By rolling your mouse pointer over the link, you can reveal its true destination which will be displayed in the bottom left corner of your screen. If this destination is different from what is displayed in the text of the link in the email, beware – only click through if you are certain it is safe. The best thing you can do is stay vigilant and get in touch with a watchdog or trusted resource if you’re unsure. FCA research shows that more than 10 million British adults are likely to receive an unsolicited pension offer a year. Thankfully, this number should reduce as new regulations from the Treasury banning pension cold calling will have recently come into effect.